The Chattanooga Lookouts added another former player to the Major League Hall-of-Fame with the election of DH Edgar Martinez. In 2018, it was pitcher Trevor Hoffman who entered Cooperstown. 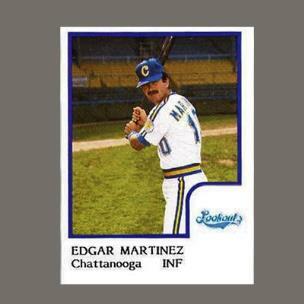 Martinez spent the 1986, 1987 seasons playing in Chattanooga, then the Double-A affiliate of the Mariners, before before joining Seattle. He was managed by Chattanooga's Sal Rende. Martinez was voted into Hall of Fame in his 10th and final year on the writers' ballot with 85.4 percent of the vote after working his way up from 36.2 percent support in 2010. Now he’ll join former teammate Ken Griffey Jr. as the only players in the Hall of Fame who will feature a Mariners cap on their bronze bust in Cooperstown’s museum. Griffey made sure to campaign for Martinez during his acceptance speech three years ago.